A collection of unprocessed data is referred to as RAW files. This signifies that the file is not yet processed, changed or manipulated by the computer. Software often refers to this as data files to load and process the data. The most popular format of raw file is “Computer Raw”. This format is generated by digital camera. When a photo is clicked on a normal digital camera its processed and compress the photos for storage. However, this is helpful in keeping the file size low. But professional photographers want the full control on the photos so they use digital camera that has ability to capture image in raw mode. Memory card corruption: Digital camera use memory card as a basic storage drive to store all the photos clicked with the help of it. The files are stored on your digital are unprocessed. They have to be removed from the digital camera and connected to computer for processing. Sometimes users can carelessly remove the card in a abrupt manner which cause inaccessible files. However, you can make use of this award winning software to restore data from Sony digital camera memory card of types like SD card, SDHC, SDXC, CF card, XD card, etc supported by SanDisk, Kingston, Transcend, LaCie, etc. Use on Multiple devices: Camera users connect the memory card storing raw files to computers for editing. During this course one can lose raw file due to various events when connected on multiple system. The reasons might be a virus infection, interruption in transfer or a logical damage on hard drive due to improper ejection. Raw File recovery is most helpful to be used when you lose a raw file from any of the storage device. It can support recovery of raw files such as CR2, NEF, 3FR, X3F, DNG, RAF and many additional formats. Using this user friendly tool one can perform raw image recovery on Sony, Canon, Olympus, Nikon, Fujifilm, Kodak etc. On recovering the raw image it facilitates a real time preview before restoring them back to your system. With the help of this software, you can also recover audio files from Memory Card, external hard drive, USB Drives, FIreWire Drives, iPods etc. with ease. Step 1- Download the Raw File Recovery tool from the site and install it on your personal computer. Manually launch the software and select “Recover Photos” option from the first screen displayed. 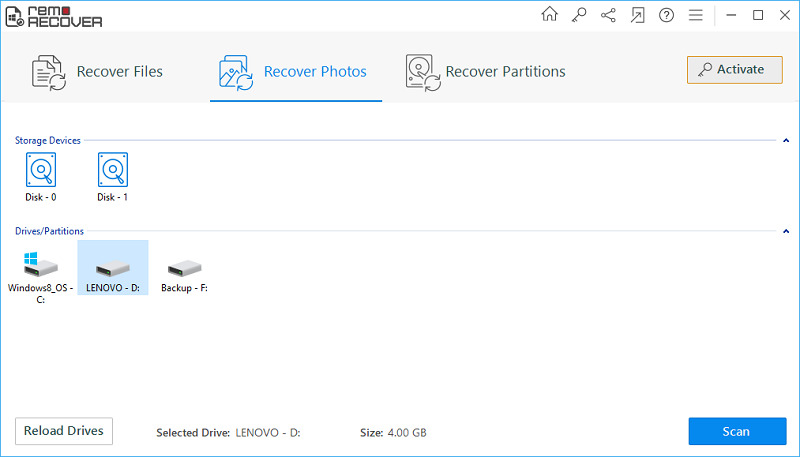 Step 2- When the tool pops up the second screen it ask you to select between “Recover Deleted Photos” or “Recover Lost Photos” option. Decide and select any one option based on the data loss scenario of your file. 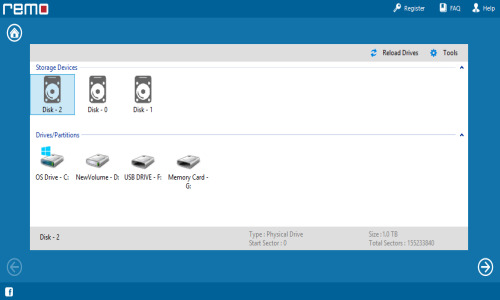 Step 3- Next, the application displays a screen with a list of drives. Select an appropriate drive and click on “Next” option. 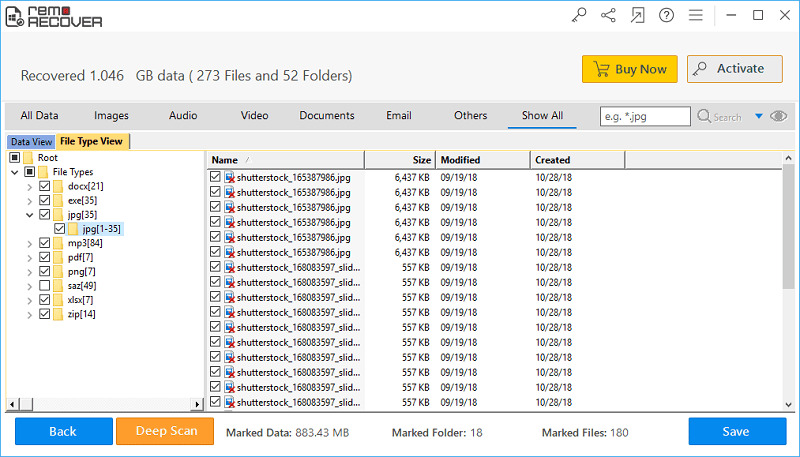 The tool scans the drive and provides you with a list of restored raw photos. Select the raw image, preview its content and save it on a secure location.